A new study finds human-caused global warming is significantly increasing the rate at which hot temperature records are being broken around the world. Global annual temperature records show there were 17 record hot years from 1861 to 2005. The new study examines whether these temperature records are being broken more often and if so, whether human-caused global warming is to blame. The results show human influence has greatly increased the likelihood of record-breaking hot years occurring on a global scale. Without human-caused climate change, there should only have been an average of seven record hot years from 1861 to 2005, not 17. Further, human-caused climate change at least doubled the odds of having a record-breaking hot year from 1926 to 1945 and from 1967 onwards, according to the new study. The study also projects that if greenhouse gas emissions remain high, the chance of seeing new global temperature records will continue to increase. By 2100, every other year will be a record breaker, on average, according to the new study accepted for publication in Earth's Future, a journal of the American Geophysical Union. The new findings show how climate change is visibly influencing Earth's temperature, said Andrew King, a climate extremes research fellow at the University of Melbourne in Australia and lead author of the new study. "We can now specifically say climate change is increasing the chance of observing a new temperature record each year," he said. "It's important to point out we shouldn't be seeing these records if human activity weren't contributing to global warming." The study strengthens the link between human activity and recent temperature trends, according to Michael Mann, a climatologist and director of the Earth System Science Center at Pennsylvania State University, who was not involved with the new research. "This work builds on previous research establishing that, without a doubt, the record warmth we are seeing cannot be explained without accounting for the impact of human activity on the warming of the planet," Mann said. 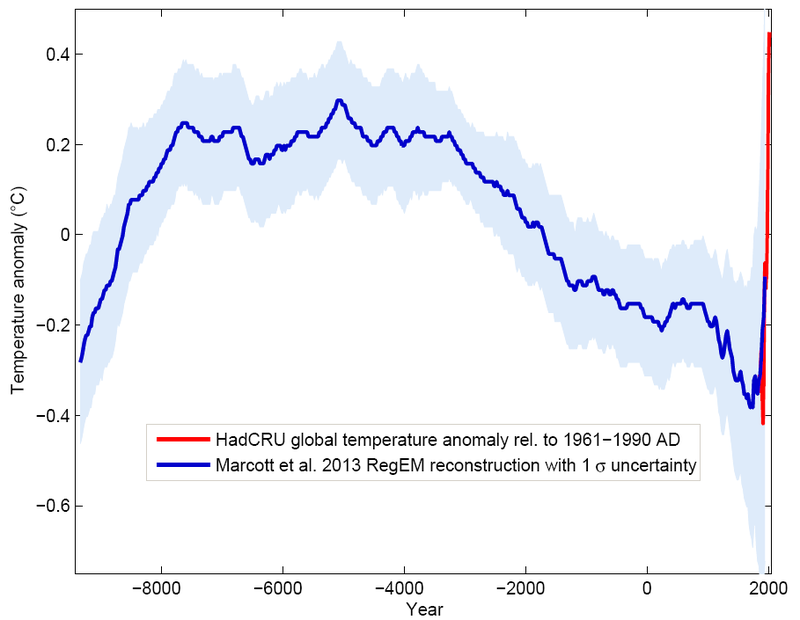 Record hot years have been occurring more frequently in recent decades. 2014 was the hottest year on record since 1880, but that record was quickly broken in 2015 and again in 2016. Research published earlier this year in Geophysical Research Letters found these three consecutive records in global temperatures were very likely due to anthropogenic warming. Record-breaking temperatures tend to attract attention because they are one of the most visible signs of global warming. As a result, understanding how and why the rate of record-breaking is changing is critical for communicating the effects of climate change to the public, King said. Previous research examined changes in rates of record-breaking temperatures in specific countries or regions. However, these studies couldn't analyze global temperature trends because they relied on gathering large numbers of daily temperature records from different sources, according to King. Additionally, they didn't directly attribute changes in record-breaking to human activity. In the new study, King developed a method to isolate the human role in changing rates of record-breaking temperatures globally. Unlike previous studies, the method uses a single source of temperature data, in this case global annual temperatures, allowing King to study temperature records on a global scale. King first looked at global temperature data from 1861 to 2005 and identified which years were hot record breakers. He then used a wide array of climate models to simulate global temperatures in this period. Some of the models included only natural influences on the climate such as volcanic eruptions, while other models featured both natural influences and human influences such as greenhouse gas emissions and the release of aerosols into the atmosphere. King found only the climate models that included human influences had the same number of record-breaking hot years as historical temperature records—15 to 21, on average. 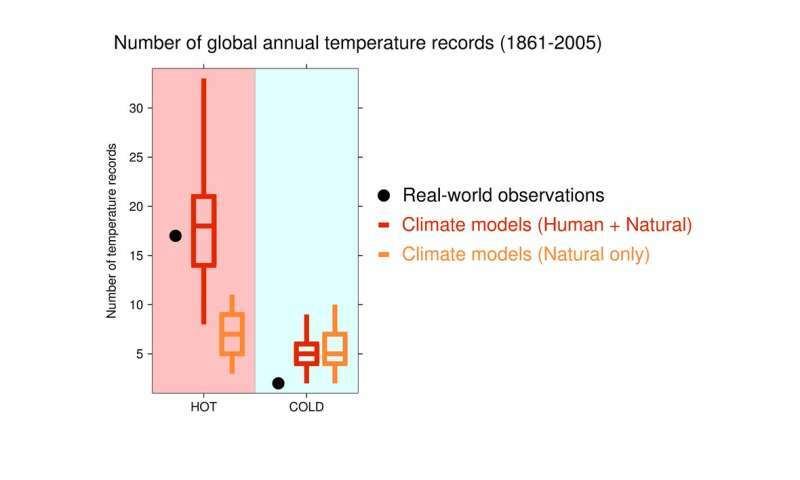 The models without human influences only had an average of seven record-breaking hot years from 1861 to 2005. He also determined human-caused climate change at least doubled the odds of having a record-breaking hot year from 1926 to 1945 and from 1967 onwards. 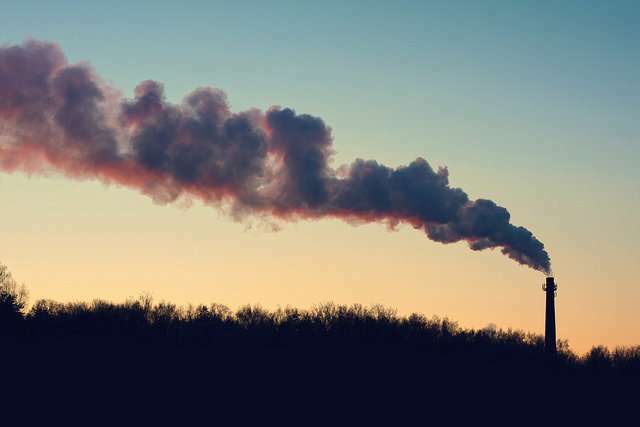 The odds didn't increase from 1945 to 1967 because man-made aerosol emissions generated a cooling effect, which counteracted warming due to anthropogenic greenhouse gases. King's research can also be applied to quantify the influence of human activities on a specific record-setting event. He applied his method to record-setting hot global temperatures in 2016 and record-setting hot local temperatures in central England in 2014. He found human influence led to a 29-fold increase in the likelihood of seeing both new records compared to a situation with no human influence on climate. So, this will stop the usual suspects from saying you can't tie any weather event to climate change? Nah, I didn't think so either. Normally, people dispute the idea of tying any single weather event, no matter hoe extreme, to climate change. This article of course isn't talking about a single event, but rather the probability of a particular type occuring. I do believe in AGW, but I cannot yet see how showing an effect like more record setting summers reflects on the causes. That is to say, we can measure the planet getting warmer, and there is a ton of other evidence that human activities are the cause, but I do not see this study contributes any evidence humans are the problem. They are of course, but not a valid conclusion from this evidence. It's high time to start discussing solutions. I for one propose a variant on carbon credits. Basically, each human being is given a single carbon credit each January first. They can keep those credits or sell them. Corporations or individuals expend carbon credits by releasing carbon dioxide. The amount of carbon permissible to release per credit expended declines every year until it reaches zero. Thus corporations are 1: encouraged to decrease carbon emissions over time, and 2: paying citizens for the right to use up their share of air. Kill off 99% of the human population in an environmentally sensitive fashion and return to a hunter gatherer society with an anti-technology religion. It's the only way. Correct, with the double-bracket addition. Think of it as the Transitive Property of AGW, @Parsec. The researchers are showing that the added heat introduced into the system(natural climate variability), is increasing the probability of exceptional weather events, just as you say. Note that the added heat to which they refer is none other than that termed "Anthropogenic", meaning: "human-caused". From whence is derived the term Anthropogenic Global Warming or AGW for short. Nah. Tax for producing or consuming carbon pollution, credit for neutralizing it via production process or consumption process. This eliminates the middle man of speculation and arbitration, which would gum up the works. That is the worst environmental scenario possible. Let's long-term face it for a turn: the environment is going to completely collapse. It's bound to. There is no natural way out. In about 1 bln. years the Sun will be hotter and the Earth will lose CO2 to the rocks and plants will disappear. Maybe new species will take their place; never mind, in 4-5 bln. years the Sun will blow up and the Earth will be vaporised or dry freezed by outer space and bye-bye environment. The only way for the environment to make it, even with some losses, is for the only known intelligent species to live on, progress further and save the Earth at its most horrible time. Some lost species are nothing compared to the Sun going supernova. No time to stop, we have to get better tech for us and the Earth. Think of LEDs vs. bulbs. Alternative FACTS are bought and paid for! Climate Changes all the time, they say. CLIMATE does NOT do an about face, change directions almost instantaneously . This Holocene interglacial warm period peaked about 6500-7500 years ago. Temperatures have been slowly cooling, in spits and spurts, since then. The Medieval Warm Period is remembered because it paused this cooling trend for a couple centuries in Europe and N. Atlantic. Much of the last 1000 years is called the LITTLE ICE AGE. ICE AGE because it added to the COOLING Trend. LITTEL because it ended & did an about face in temperatures. Temps have been rising since the mid 1700's. Enhanced Green House effect ! The entire point of changing the way we generate energy is so that human civilisation can survive and make life better for the majority of people today and in the future. If your plan is to kill off everyone, just let climate change do it. What's the difference? I really hate this entitled nihilistic nonsense. The time frame people need to be concerned with is the 1500 years timeframe that *additional* CO2 from fossil fuel combustion (and cement production, don't want to forget that one), is adding to IR reflectivity if the atmosphere. The more reflective the atmosphere is to IR, the warmer everything will be on the ground. Currently if there is not some drastic actions taken by everyone in the world to reduce carbon emissions into the atmosphere, most life on earth will go extinct. Dead. Gone. Never to be heard or seen again. That is what will happen with the status-quo. Whoa how'd I get in this thread??? Let us see to it that the 2100 projection does not happen. Everyone except 35 of US states are working on it, since Syria is set to join the global effort. @tblakely, Gigel: Of course that (collapse of environment and/or of humans) is not the only way, as shown for example of how progress now has made wind power the cheapest in US [ https://arstechni...r-drops/ ]. @Gigel: A mammal species becomes on average 1-2 Myrs, human species are no exception, due to evolution. So forget that. Well, humans cheated evolution for a long time because they are intelligent. If they continue to do so, they may by the chance Earth and the environment have to survive for many years (in the thousand billion yr area). We are the only known species to care for the environment, so we are an exception yet again.